It probably doesn’t sound like an obvious choice for shopping, but the city of Edmonton in the Canadian Province of Alberta is, surprisingly, the perfect destination for a shopaholic. Whether you love huge malls with international brands and gleaming department stores or you’re more fond of independent boutiques and hunting for vintage treasures, Edmonton’s got you covered. 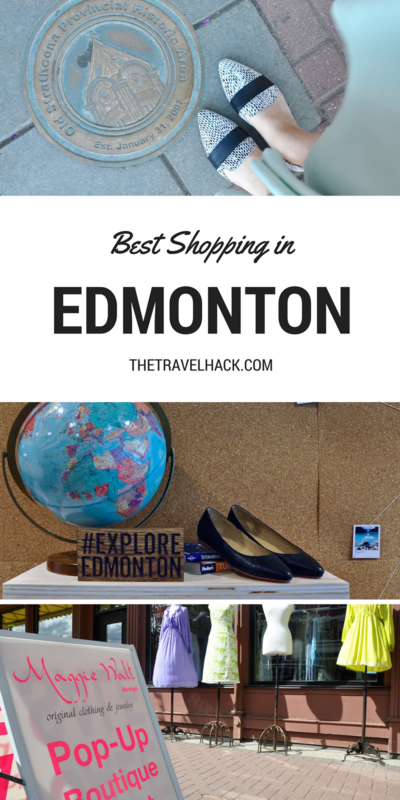 So grab your credit cards and book a spa day to recover, because today I’m going to show you how to shop till you drop, with the best shopping in Edmonton. I was a little hesitant to visit the West Edmonton Mall while I was in town, because really, who travels all the way to Canada for a mall? We have those in England. I know what they look like. But seriously, West Edmonton is not your average mall. Trust me when I tell you that this is a sight you cannot miss, even if you don’t love shopping. Until 2004, it held the title of the world’s biggest mall, and even now it’s the largest in North America and tenth largest on the planet. Basically, it’s huge. Grab a map when you go in or you might never find your way out. As well as more shops than you could ever hope to cover in one day (anyone wanna take the challenge? ), the mall is home to a massive water park with a wave pool, an aquarium, an amusement park complete with roller coasters, an ice skating rink, and even a shooting range. [column size=one_half position=last ] [/column]You kind of have to see it to believe it, because it truly is a sight to behold. 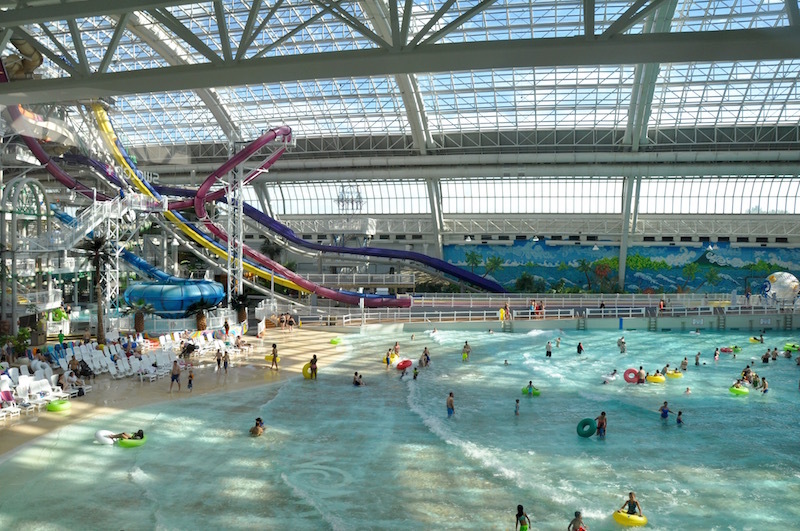 If you want to do the West Edmonton Mall properly, plan a whole day there. You’ll find loads of places to eat, drink and relax, and you can stock up on your favourite international brands, like Sephora, Lululemon and Aritzia. 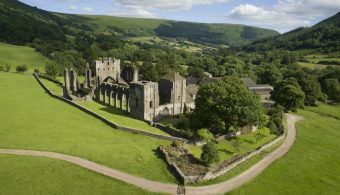 Best for: a day out with the family; the kind of shopping your other half will actually like. Located south of the North Saskatchewan, the river that runs through the heart of Edmonton, Old Strathcona is a historic district that doubles as a shopping hub. As well as a weekly farmer’s market and sizeable antique mall, the area is famous for its historic buildings and High Level Bridge Streetcar, which travels to Downtown Edmonton from Strathcona’s terminal. The old barn terminal building also doubles as a streetcar museum, so if you need a break from shopping, you can learn something while you’re there. Most of the district’s best shopping can be found on Whyte Avenue, which runs for about a mile through the heart of Old Strathcona. There’s a great mix of trendy vintage shops, bizarre second-hand stores full of weird and wonderful knick-knacks, art and gift shops and boutiques selling gorgeous products from local and international brands. Don’t miss gravitypope, a stunning boutique located just off Whyte Avenue, on Gateway Boulevard. 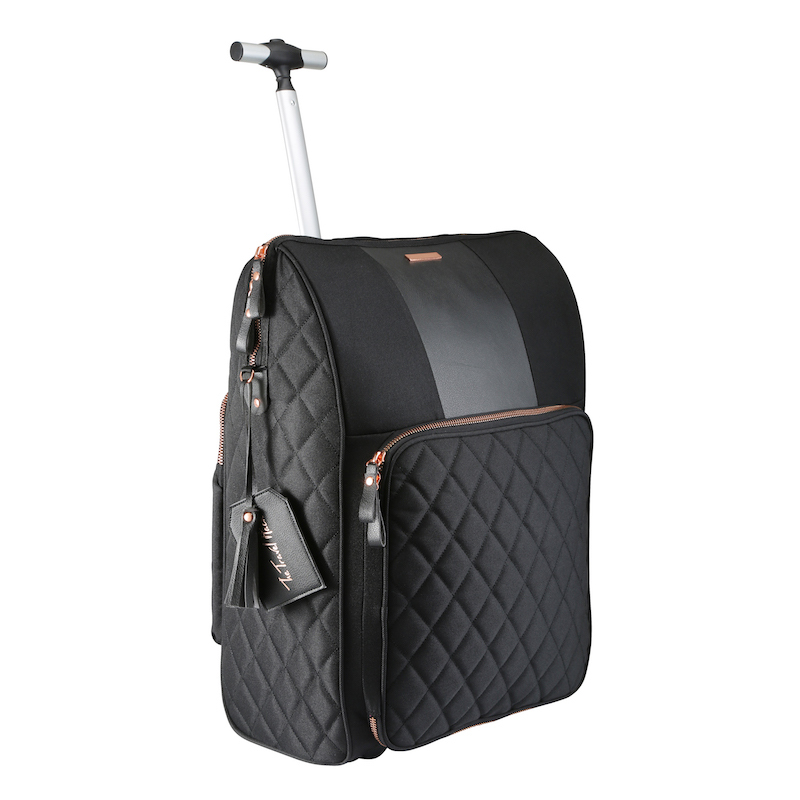 Every brand they stock, from clothing to accessories and beauty products, is hand-selected from around the world, like Dutch brand ROSEFIELD watches, which I’m now totally obsessed with. When you leave gravitypope, pop next door to the funky El Cortez for a tasty Mexican feast (and some margaritas, naturally). You know that awesomely smug feeling you get when someone asks where your shoes (or bag, or dress, or watch) is from, and you answer with an exotic destination, knowing that your fabulous look can’t easily be replicated? Well, you’ll be getting that feeling a lot after you shop at Poppy Barley, a locally-owned footwear boutique in Edmonton that’s quickly making waves in Canada and beyond. It all began when two sisters decided that one size shouldn’t have to fit all when it comes to footwear. Ladies with narrow feet or muscular calves can really struggle to find good shoes, and so Kendall and Justine created their own brand, Poppy Barley, which aimed to bring the quality and luxury of custom footwear to the masses. Their shoes, which can be bought off-the-rack or made-to-measure, are all hand-made by skilled craftspeople in Mexico, using nothing but the finest leathers. And it’s not just about quality either, because the styles are gorgeous. When The Travel Hack Team met Kendall for breakfast at the Poppy Barley boutique on Whyte Avenue, we were given the chance to choose our own pair from the gorgeous Spring/Summer range in the showroom. After we’d picked our jaws up off the floor, our feet were measured and each of us chose a pair of gorgeous shoes to take home. After breaking mine in, they are so unbelievably comfortable that I wear them every chance I get. And without fail, I’ll always get complimented on my shoes and asked where I got them. And of course I say, with more than a hint of smugness, “I got them in Edmonton”. Best for: Ethical, quality, stylish shoes you’ll never want to take off.